The Chinese and Adams Cantos are, from what I’ve read, much less poetical, and much more, well… versified excerpts of somewhat arbitrary selections from a single book on Chinese history, and a single multivolume book on John Adams. What I’ve read suggests that while they are a hard slog, I may not find so much of use to me. Therefore, those 20-odd Cantos would get dealt with in a mere four or five posts. I would, at least for the summer, increase my pace to three Cantos a posting, except when really inappropriate. (For example, when finishing a section, I would not add a canto from a new section just to get three; or when dealing with a particularly significant or difficult Canto, I might spend a single post on one Canto. If I followed this regime I would be through the book by sometime in September. However, I’m not completely sure this is the best way to do it. I’ve been lucky, I suppose, in serendipitously running across the very texts that helped me understand important chunks of what I was reading, at exactly the time when they could help me most. I would hate to hurry through, only to discover, later on when I was working through secondary sources, that the key to some enigmatic puzzle was right there on my desk, being ignored because I was going to make my fourth posting of the week, and cover my twelfth canto of the week, or bust. In fact, what I’ll probably do is work on two to three posts per week; this will give me some breathing room in the summer, but also some breathing room for Tuesdays through the fall semester. I won’t be posting everything as I write it: rather, I’ll reserve posts for each Tuesday, which means the series should be finishing up sometime in January or February 2013. 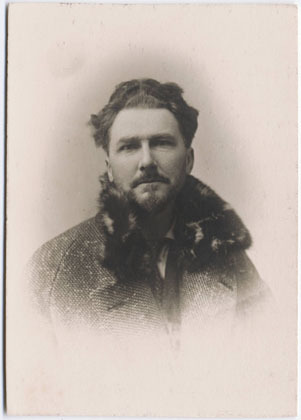 But I tell you: this studying Ezra Pound thing, it can really take over if you let it. It just creeps in and bugs you, like, “Right, so what is that passage about?” drifts into your mind when you’re supposed to be doing other things.